People come here to make lasting commitments, unplug, share, reflect, rejoice, find inspiration and connect. The deep sense of serenity here sets in the minute you cross the bridge onto our exclusive 20-acre private property—an oasis of rainforest and ferns, cozy nooks and meandering contemplation paths, and colourful gardens bursting with bright blooms and fragrant herbs. Ours is a place that’s warm and welcoming, serene and charming, with beautiful natural indoor and outdoor spaces thoughtfully designed to foster meaningful connection. We’re also easily accessible—no ferry or floatplane required. And, though you might find no need to leave our little slice of heaven, Whistler is just a 15-minute drive away. Here, the entire property is yours. You and your guests get all 20 acres: the enchanting flower gardens, huge lawn, inviting outdoor patio and conversation areas, forest hiking paths and assemblage of elegant gathering rooms. You won’t find any distractions, external noise or other groups intruding on your time. Everyone who visits comments on the stillness, the incredible natural beauty of the lush rainforest setting and the feeling of being cradled in the wilderness. A strong sense of tranquility permeates, inspiring inner calm and contentment, and a profound feeling of wellbeing. Because your group stays here—in our character-filled lodge rooms, private cabin and tastefully appointed accommodations spread throughout the property—you’ll find people are drawn to each other. There’s no competition for the bike park or the lounge next door. Our rooms have no phones or TVs, so you can unplug and unwind. The grounds and building design encourage conversation, relaxation and time together—whether it’s an impromptu game of croquet on the grass or stories around the fireplace. We think our gathering and ceremony spaces are extraordinary. In fact, we’d argue they’re unique in Canada, built to the highest environmental and clean energy standards. These are architect-envisioned spaces created for a specific use and carefully positioned on the site to bring the outdoors in. Flooded with natural light and overlooking a contemplative garden of moss-cushioned stepping stones, The Gathering at Brew Creek, for instance, imparts a sense of awe, calm and reverence with its open beams, vaulted ceiling and soaring windows—a forest chapel. Its triple pane windows and cutting edge air-exchange system mean zero ambient noise and cathedral-like acoustics. Whether you’re walking the 70 feet down the carpet aisle or engaging in transformative work of any kind, this remarkable space makes the experience. You’ve probably been to a botanical conservatory, an indoor secret garden jungle of tangled green vines and flowers. That’s what our geodesic dome feels like. Picture rows of shiny eggplant, dangling foot-long cucumbers, shrubs of licoricey basil and spicy red peppers, and a mini forest of 10-foot-tall tomatoes in oranges, yellows, reds, and deep purples. The sight is sure to make any foodie giddy. 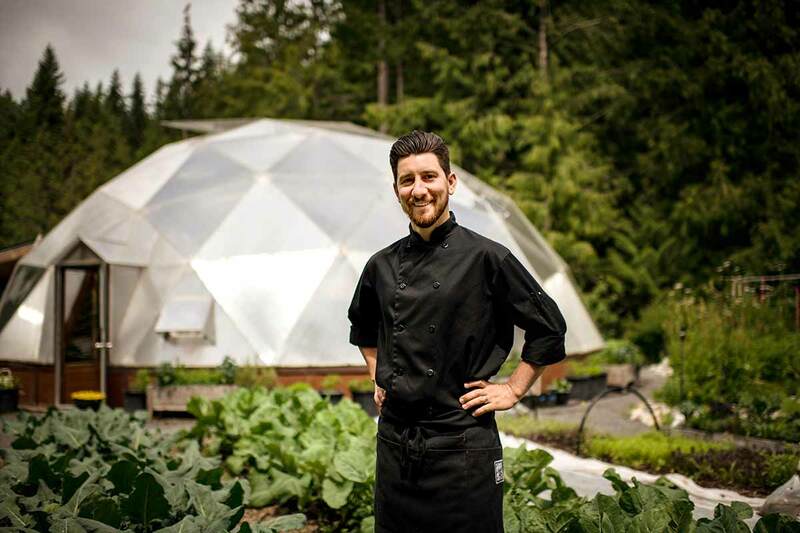 The dome is just part of our two-acre organic farm-garden, where our chef sources much of the vegetables, greens, herbs and fruit served here. Ask about taking a tour to meet our resourceful farmer—or just enjoy the bounty at the table. We call it dome-to-plate dining. We’re accessible, yet very private. We’ve also got lots of space. 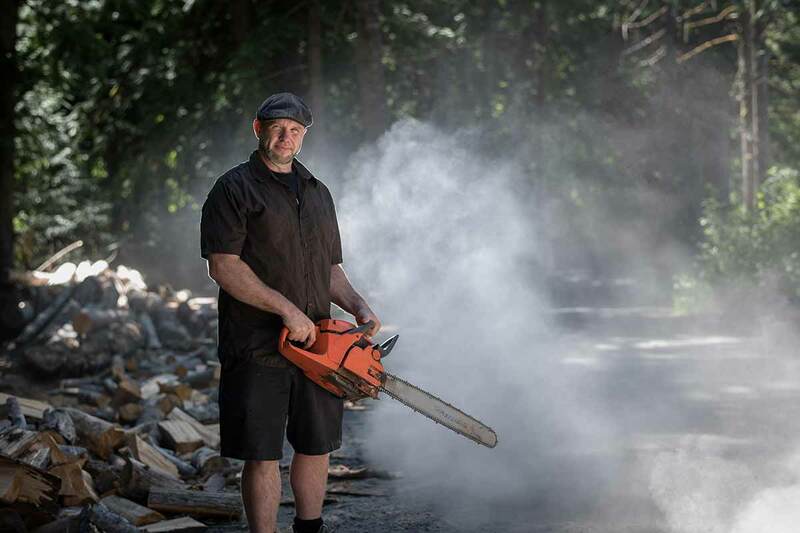 Nestled in the temperate rainforest of cedar, fir, spruce and ferns, The Brew Creek Centre is set on private land just off the scenic Sea to Sky Highway overlooking the glaciers and fjords of Howe Sound. We are a 1.5-hour drive north of Vancouver, two hours from the airport, and 15 minutes south of Whistler, an all-season, world-renowned alpine resort. 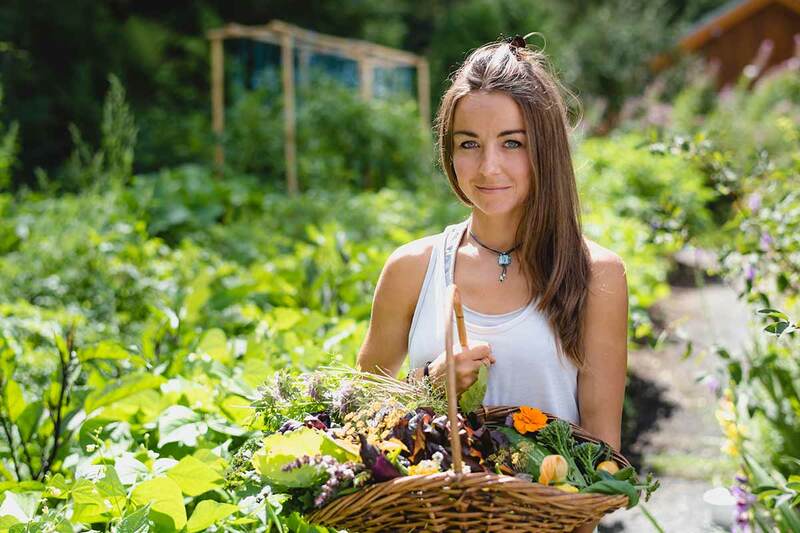 We invest in our people, support work-life balance, grow our own food and use all the latest technology and tools to make our operations as clean, sustainable and Earth-friendly as possible. We believe in giving back and supporting meaningful causes. We genuinely love sharing this incredible place with others. Are we a match? There’s no one else here at The Brew Creek Centre but you and your guests. When you stay here, the grounds, buildings and gathering spaces are for your group’s private, exclusive use. Our staff is our family and we know our guests by name. We strive for excellence in everything we do, use only the best ingredients and always choose top-of-the-line. We do things like compost our food waste, water with a creek-fed irrigation system, grow our own flowers and pick them fresh each day to brighten the rooms. We are warm, generous and personable. Staying here feels a lot like joining a dinner party at a friend’s house. The Brew Creek Centre is available on a package basis only, which includes rental of the entire 20-acre property. We feel this approach offers our guests tremendous value. Please speak to us about putting together a custom package for your meeting, retreat, conference or destination wedding. If you want warmth and personality—a place with soul and spirit—you’ve met your match. Our sequestered forest location is off-the-beaten path for a reason. The place has a colourful history that gives our cozy spaces and reimagined structures loads of character. No two rooms are the same, and we think it’s pretty charming. Our talented team of professionals supplies all food, wine, alcohol, beverages and snacks on the premises. We work hard to delight and surprise our guests with sophisticated yet unfussy seasonal fare using organic ingredients grown here. The beauty of staying at The Brew Creek Centre is that we’re private and peaceful, with no outside distractions. People come here to reconnect, celebrate, reflect and find inner peace. If you want a place where shopping, restaurants, and nightlife are all right outside your door, Whistler may be the better choice. That said, we are just a 15-minute drive to town and welcome the challenge of putting together any type of activity for you here that you can dream up—from wild tea foraging and crafting or al fresco oil painting classes to movie night under the cedars or a cocktail-making challenge using a secret ingredient from our growing dome. 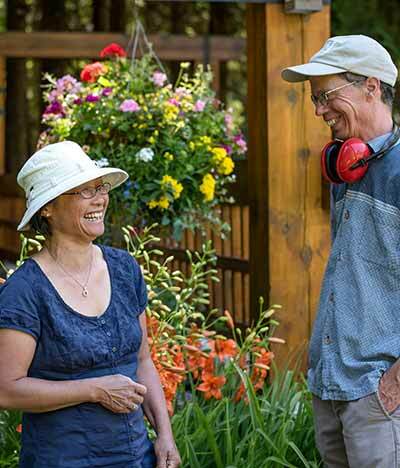 As The Brew Creek Centre co-stewards, Barclay and life partner Pamela are committed to giving guests an exceptional experience in a transformative place. Barclay says he’s “the luckiest man in the world” and lives each day accordingly. He knows everyone by name and their loyalty attests to how he treats them—with respect and genuine affection. After 50 years as an emerging technology executive, Barclay changed direction and decided to build a social enterprise with the aim of modeling sustainable living and giving back. That vision, led to the creation of The Brew Creek Centre in 2010. A big ideas guy, Barclay is witty and sharp, a scientist and avid researcher. Raised in Victoria and Vancouver, BC, he enjoys walking, swimming, reading, and his favourite hobby of all, The Brew Creek Centre. Pamela is a force of nature. Funny, effervescent and straight talking, she gets it done and has a ball along the way. When she first met Barclay, Pamela was an accomplished executive in the wine and spirits industry in Vancouver. The two of them took on The Brew Creek Centre with unwavering passion and dedication. 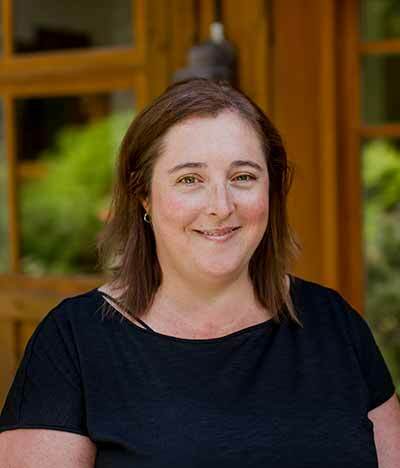 Today, in addition to business development, marketing and guest relations, Pamela ensures accommodations and menus are exceptional and complement the authenticity and uniqueness of The Brew Creek Centre. An avid Dressage rider, Pamela loves art and design, swimming and gardening—especially flowers, herbs and vegetables. 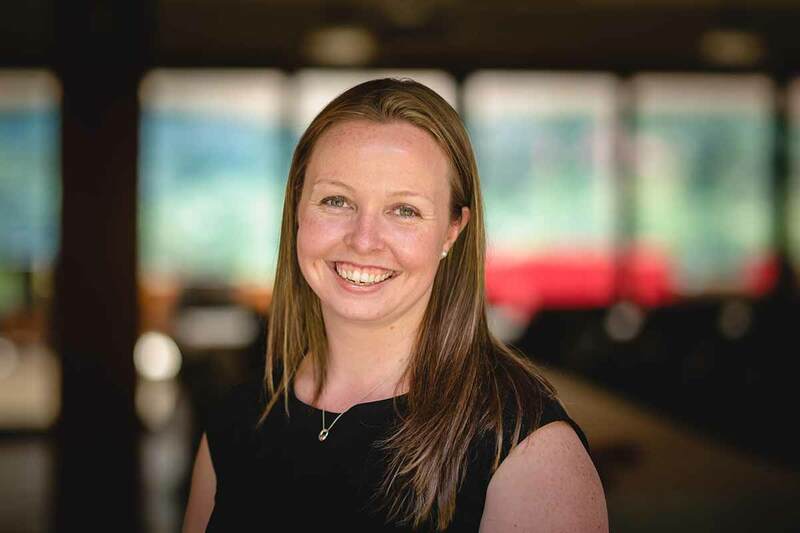 You’re not likely to notice all the effort and logistics behind a flawless event at The Brew Creek Centre and that’s because Liza is behind it all, balancing staff efforts with guest needs. 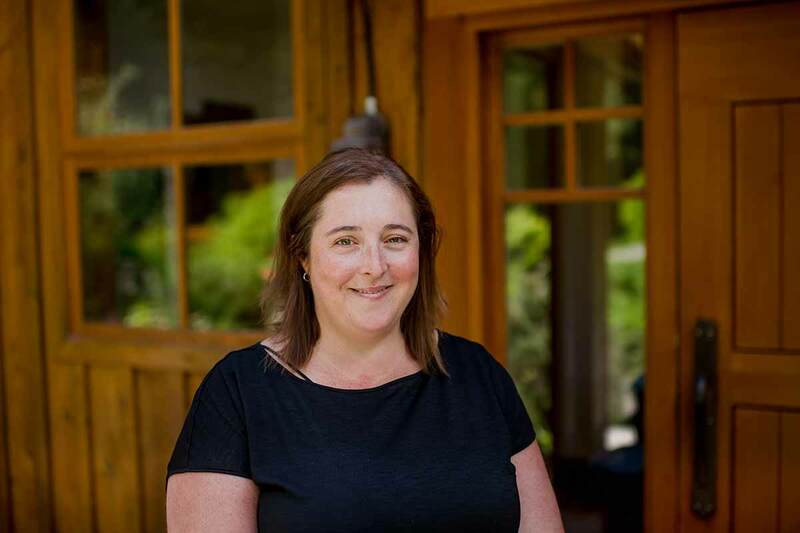 Originally from Kamloops, BC and in Whistler since 1993, Liza joined in 2014 after a successful career in Whistler tourism, winning awards for her hotel and hospitality management prowess. Outgoing and entertaining, she cherishes the unique human experience that shapes her work; the warm, committed team; the value of social and environmental stewardship; and the pristine environs. 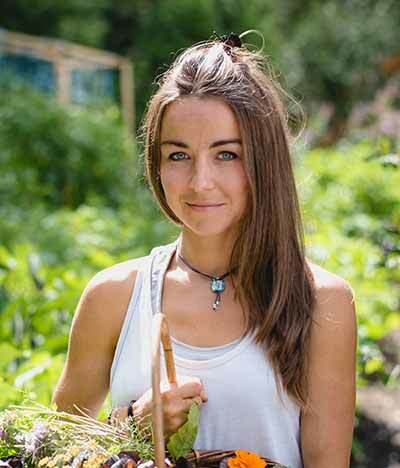 Liza is an avid traveller, fungi forager and novice herbalist. In her free time, you might find her listening to live music on a sunny patio in Whistler in the sleepy shoulder season or savoring a five-course dinner without a reservation. Alain grew up surrounded by food and cooking in his parents’ restaurants in White Rock and Comox, BC. And it was the family atmosphere of the staff and the place’s unique natural setting that initially drew him to The Brew Creek Centre in 2018. But he also wanted a chance to “create dishes using gifts from the earth” grown and harvested right here on the property. Alain’s mission? “Memorable, delicious and sustainable food made with love,” inspired by his specialty—Italian and French cuisine. Long a student of photography, he has an eye for design, colour and composition—and that extends to his artful cooking as well. Alain finished at the top of his Red Seal journeyman class, winning both the Chef Don Phillips Memorial and Culinary Arts Apprenticeship scholarships. 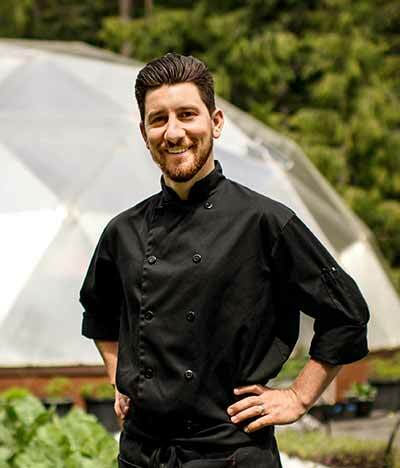 He then honed his craft chefing at various kitchens, including the Fairmont Chateau Whistler, and at high-profile catering events, such as Dîner En Blanc and The Deighton Cup. Alain likes to hang out with his “hilarious” daughter when he’s not outside snowboarding, biking, hiking, camping and, of course, taking long-exposure pictures. Backcountry camp at Squamish’s Levette Lake, he recommends, then refuel at Red Door Bistro in Whistler. An event you’ll remember fondly forever is truly something special. That’s what Fiona aims to create for guests every time. She introduces newcomers to the property, considers their needs and hosts superb, inventive occasions that surprise, delight and surpass expectations. 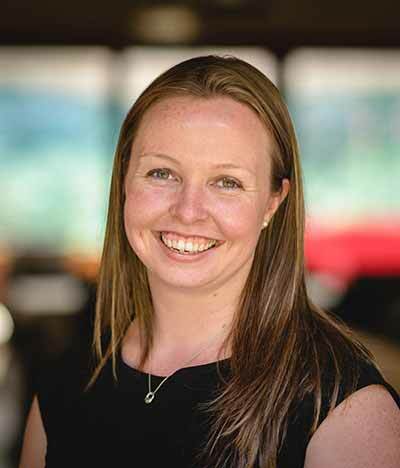 A hospitality veteran with awards for her achievements, Fiona has a decade-plus of experience working in Canada, the U.S. and UK, and joined the team in 2017. She is originally from Perthshire, Scotland. Personable and guest-focused, Fiona is an adept, committed professional with a bubbly personality. She loves early morning ski runs, and hikes and bike rides that involve pausing to drink in the views and enjoy the silence. Marie-Claude first fell under spell of The Brew Creek Centre while helping a friend with her wedding here. She chose to return for the beauty of the surroundings, harmony with nature and environmentally friendly philosophy. 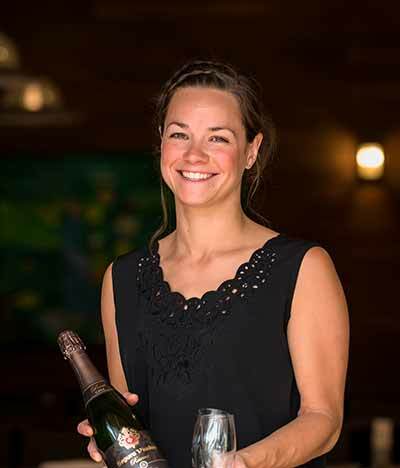 Chatting often with guests, Marie-Claude collaborates on all food and beverage programs. A native of St-Joseph-du-Lac near Montreal, she earned a degree in fashion design, then distinguished herself in positions at Scandinave Spa and Four Seasons Resort Whistler before joining in 2018. Marie-Claude is an artsy type. She’s also a hiker, camper, paddle-boarder and Jeep explorer. 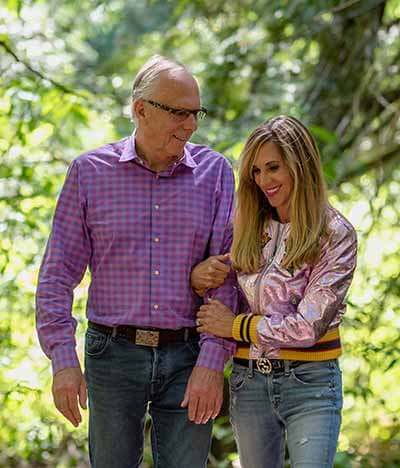 Her locals-only recommendation: a summer afternoon swimming in one of Whistler’s lakes (Cheakamus or Anderson) or a winter day cross-country skiing the Callaghan Valley, followed by a decadent treat at Pure Bread and a spa retreat. 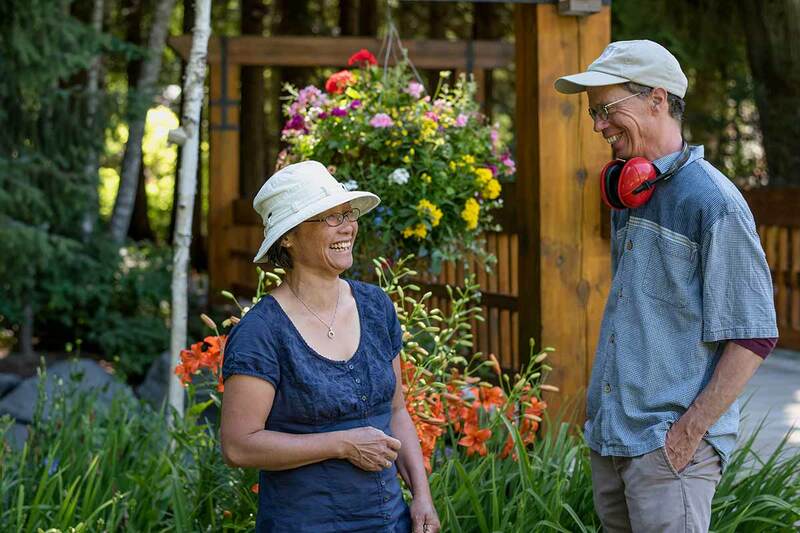 With The Brew Creek Centre since 2016, John and Susan reside onsite and look after the property full-time, a 24/7 management proposition for such a remote location. They’re friendly and generous folks, ready to take on anything—whether a major issue or mundane task—in order to keep everything running smoothly. John likes to see the glow after a beautiful and festive wedding celebration and guests waking up the next day with a “happy hangover.” Originally from Vancouver, these two are sincere, cheerful, capable, funny, and a bit quirky. They are big hikers and happy to share tips. Susan recommends walking up the road to Lucille Lake for a swim with a view, for one, and John is partial to the forest trails at nearby Callaghan Valley. Lee ensures everything runs properly in and around the expansive property—no easy task. From Ottawa, Lee’s background is in refrigeration and appliance installation. 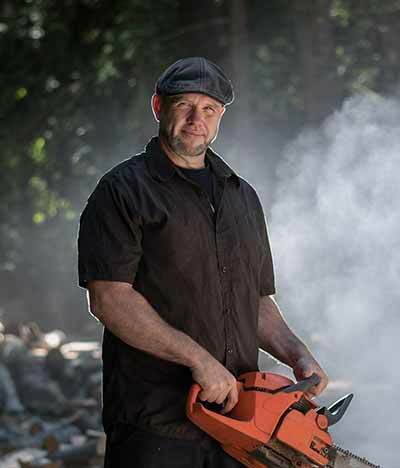 Easygoing and unflappable, he can repair just about anything from generators to wedding arbors. What he’s appreciated the most since he started in 2014, is—in addition to the great people, boss and setting — learning about the carefully designed landscape architecture, environmental construction and green-building infrastructure. When he’s not fixing something, Lee’s often tucking into Spaghetti Quattro or chicken wings, juicing seasonally against his will in town or spinning vinyl from his treasured collection. Green thumb extraordinaire—that’s Steph. She’s also determined, dedicated and inventive. The picture of health, Steph feels a deep connection to nature and is impressively resourceful, always coming up with novel ideas and projects. You’ll understand the extent of her talents once you step into the centre’s food-as-art farm-garden and growing dome. Year-round Steph spends her day cultivating “pure paradise” and our guests often remark on a shared passion for The Brew Creek Centre’s year-round sustainable living commitment. 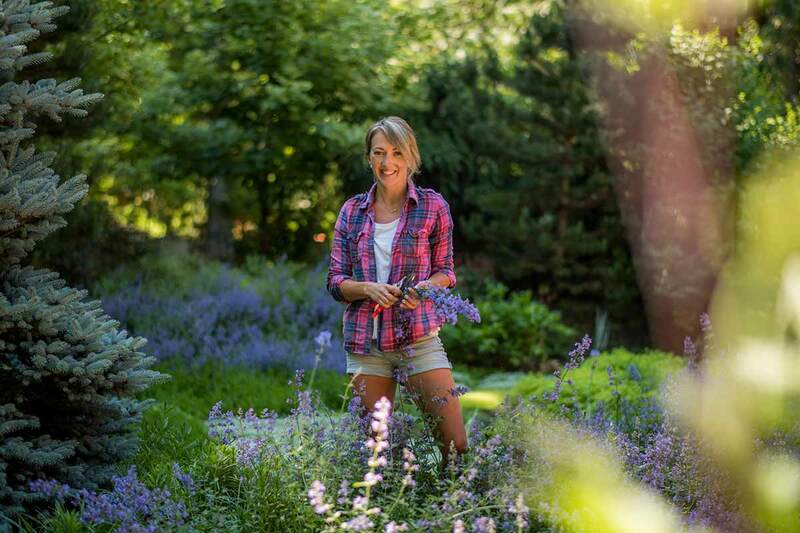 An Alberta native, Steph transformed our gardens when she joined in 2016, importing five-plus years of experience gardening, beekeeping and supporting the Fairmont culinary team through growing. She is all about the outdoors: Hiking, running and exploring forest, mountains and glacial lakes in the area. Claire creates beauty wherever she goes, and her palette is the flowers, herbs and shrubs she’s added to the centre’s blank wild canvas over the years to conjure the enchanting gardens with brilliant splashes of colour you see today. Dedicated, passionate and somewhat of a perfectionist, Claire joined in 2010. 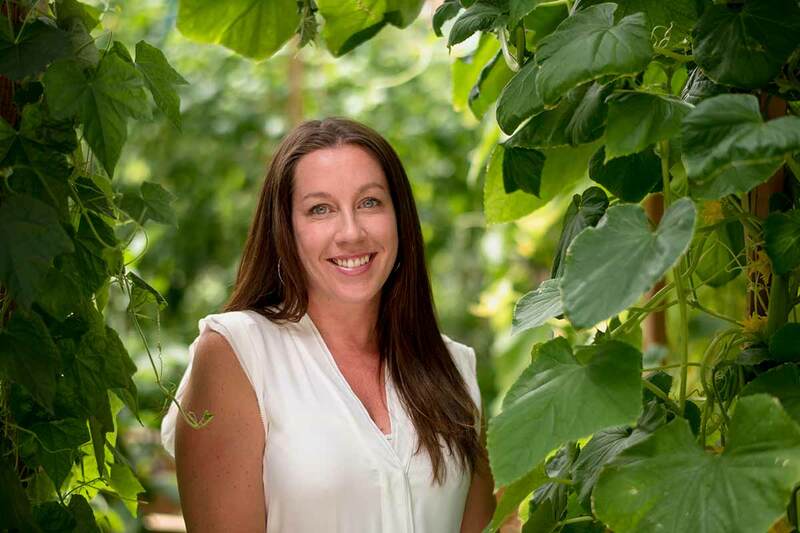 Her background is high-end retail in the ski and snowboard industry, and municipal landscaping, but she’s been passionate about horticulture for most of her life. Claire’s forté is learning about the thousands of native plant species in the Sea to Sky region and showcasing splashy varieties native to British Columbia. 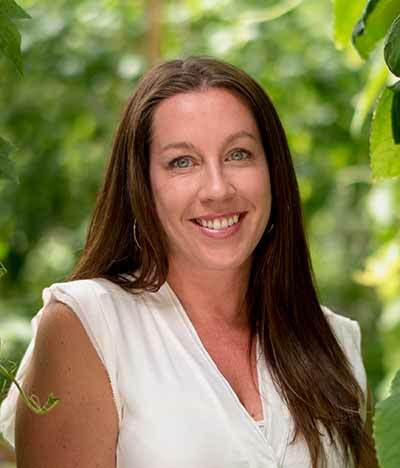 She is our greenscape curator, tasked with keeping the expansive gardens brilliant and showy in every season. Claire’s leisure time involves nature, too: She’s a hiker who loves sharing her in-depth local knowledge of coastal BC with others. Though she works behind the scenes, Darleen regularly gets rave reviews from guests. Kind and diligent, she’s a well-organized people-person with high standards for herself and others, and brings a breath of fresh air into the guest rooms she services and keeps sparkling clean. The best part of the job, Darleen says, is the positive work environment, supportive team, “all with a smile on their faces,” and well-maintained property into which co-owners Barclay and Pamela pour their love and passion. “I am proud to tell people where I work,” she says. Darleen spent 30 years in early childhood education before joining The Brew Creek Centre. An outdoor enthusiast, she loves to hike, swim and camp. When she’s not with her kids and grandkids, you’ll find Darleen swimming in clear Lake Lucille near Pemberton. She recommends a meal, and soaking up the sun on the popular riverfront patio, at The WaterShed Grill in Brackendale. 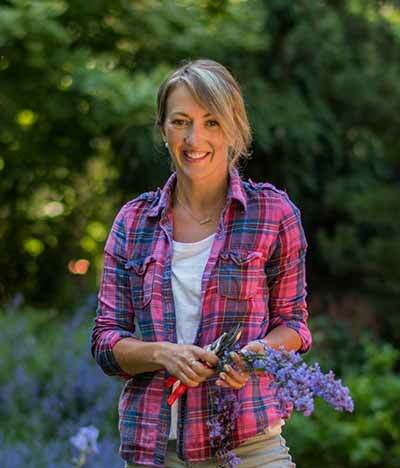 Claire feels lucky that her job involves gathering fresh herbs from our beautiful gardens. And coming up with creative new summer cocktails isn’t too shabby, either. 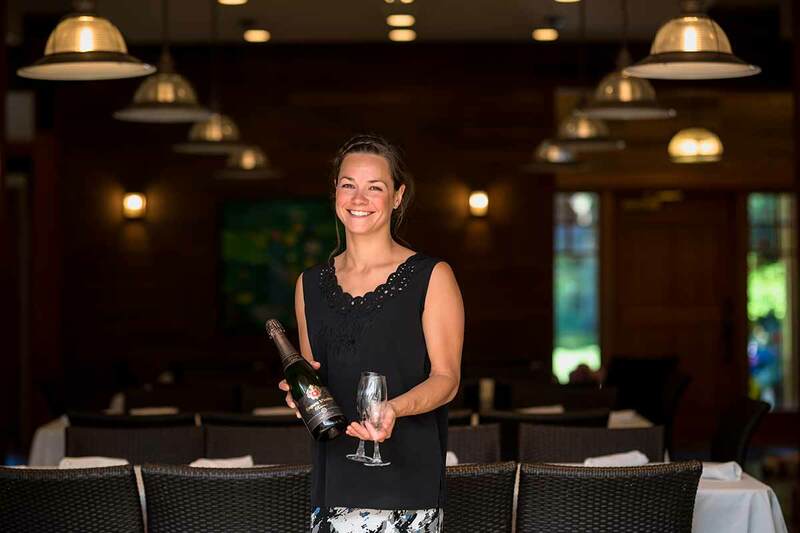 Claire works with Katie on all food and beverage programs, gleaning helpful intel from her frequent conversations with guests. 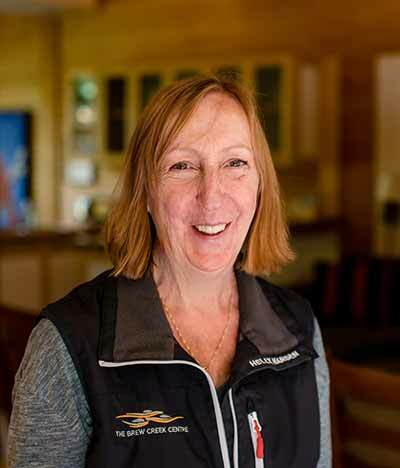 A longtime local originally from Fife, Scotland, she joined in 2012 as a casual catering server after many years as a ski and biking coach (still is). Claire is an adventurer and athlete with a warm personality and lovely laugh. 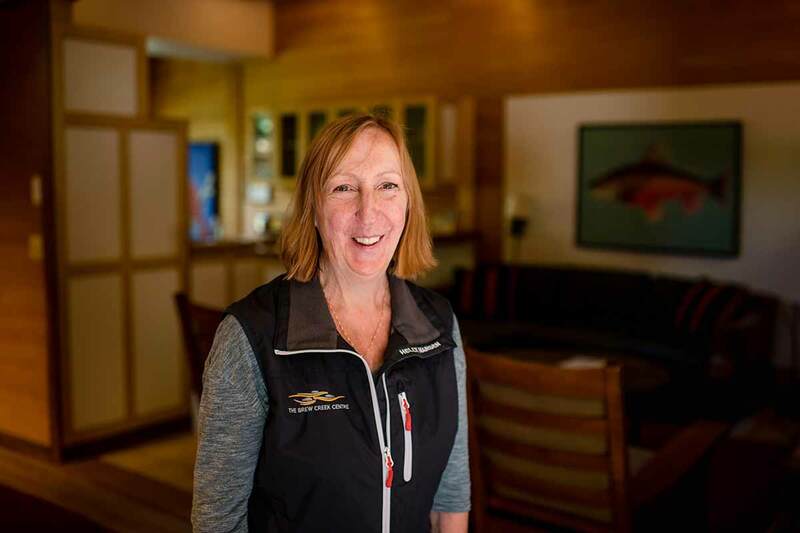 Her many forays take her to alpine lakes and slopes for biking, hiking and waterfront R&R. We feel lucky to be a part of the tight-knit community at The Brew Creek Centre. Our team is like family. We’re committed, passionate and enthusiastic. Want to join us? We believe in corporate social responsibility, giving back and treading lightly on the planet. We treat our people with respect and value their contributions. Ours is an extraordinary setting: It’s gorgeous, serene and inspiring. We’re only 15 minutes from North America’s premiere four-season playground, Whistler. We’re always looking for talented professionals to join us, especially in housekeeping, catering and food services (cooks and dishwashers). Interested? E-mail your resume to: careers@thebrewcreekcentre.com.